Nov 1918:4 General Hospital & NZ Convalescent Hospital, Hornchurch. Gun shot wound to left thigh. William Merry was born in Goole, Yorkshire, England on the 4th November 1895, the only son of James and Emma Merry. In 1913 William was employed as a clerk and in the same year his aunt and uncle (Emma & Daniel Averis) from New Zealand visited England. 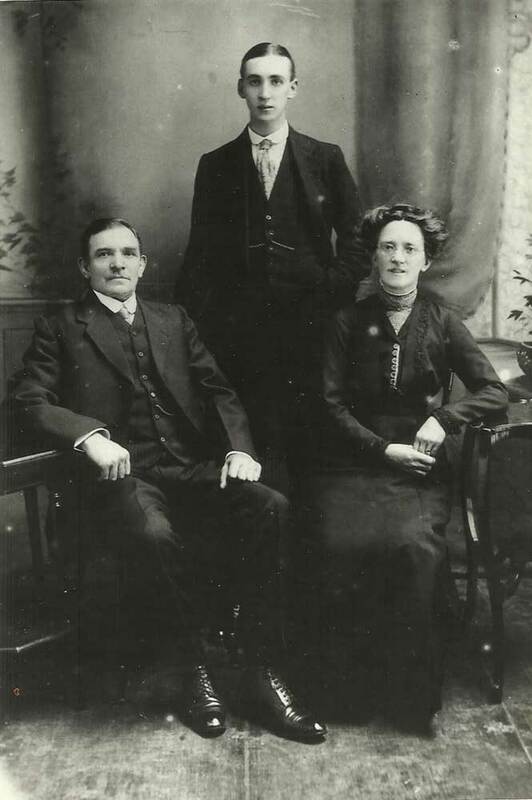 William had contracted TB and it was thought that if he went to New Zealand it would be beneficial for his health, and so in October 1913 William joined his aunt & uncle on the long journey. William stayed with family in Waimate. William or Bill as he was known found a job as a grocer’s assistant and was employed by WG Napier in Queen Street, Waimate. He was a member of the choir at St Paul’s Methodist Church and became part of the Waimate community. 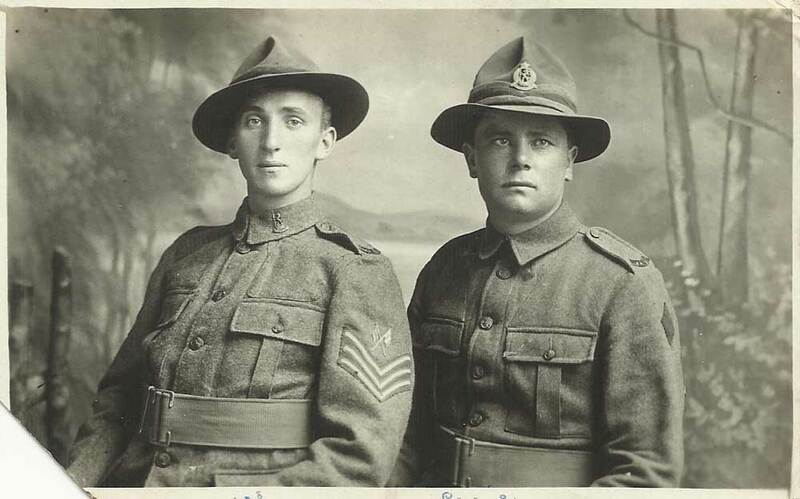 War was declared while he was living in NZ and in January 1916 William enlisted, joining the NZ Rifle Brigade. He marched into Trentham Camp on the 12th January 1916. William was promoted to Corporal in February 1916 and in May he left with the 12th Reinforcements for overseas duty. The troops spent some time in Egypt before heading to Southampton in England for more training. The troops arrived at Sling Camp on the Salisbury Plain where William was posted to ‘A’ Company NZRB where he relinquished his rank of Corporal to Rifleman. In January 1917 William was promoted to Temporary Corporal and a month later to full Corporal. Within days he was promoted to Sergeant on the Instructional staff at the camp and sent to Staff Training School. During the year William’s cousin, Cecil Averis had enlisted and was also with the NZRB. The two were able to meet on several occasions when their leave coincided. William was wounded while fighting at the Somme in November 1918 and eventually ended up back in England. He was discharged from the NZRB on 8 May 1919 and did not return to New Zealand. William moved back home to be with his mother in Westbury, Buckinghamshire. His father had died in October 1918. William found work as a labourer in the district but he was not happy and wanted more from life. He applied to join the Bucks Constabulary and on the 15th November 1919 he was sworn in as a constable. He had a long career in the Police Force and eventually became an Inspector. In the 1930s police officers were trained in “War Duties”. In 1939 William was posted to Bletchley, Fenny Stratford. After thirty years in the police force he retired in September 1949. He obtained a job as a security officer at Bletchley Park and found himself attached to the Government establishment at Cheltenham where he made regular trips. He did not talk about his job working for the Government and finally retired at the age of 65years. William married in September 1929 Florence Strickland and in August 1930 their son Kenneth William Merry was born. Ken also became a policeman in the Bucks Constabulary. William Merry died on the 10th February 1974 in Newton Longville, Winslow, Buckinghamshire, England.